Earlier this month I was thrilled and deeply honoured to have been selected as a Labour candidate for Harborne in the May 2018 Birmingham City Council elections. If elected, it will be the second time I have served on the Council of a major UK city, having previously been a Leicester City Councillor between 2011 and 2015. 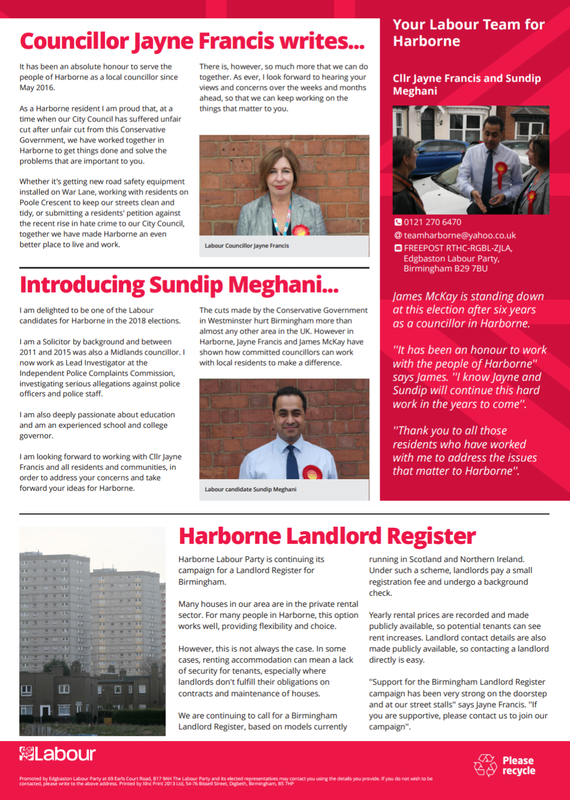 Since our selection my good friend and fellow candidate Cllr Jayne Francis and I have been out campaigning regularly in Harborne, together with many of our brilliant Labour activists, and our hardworking local Member of Parliament for Edgbaston Preet Gill MP. 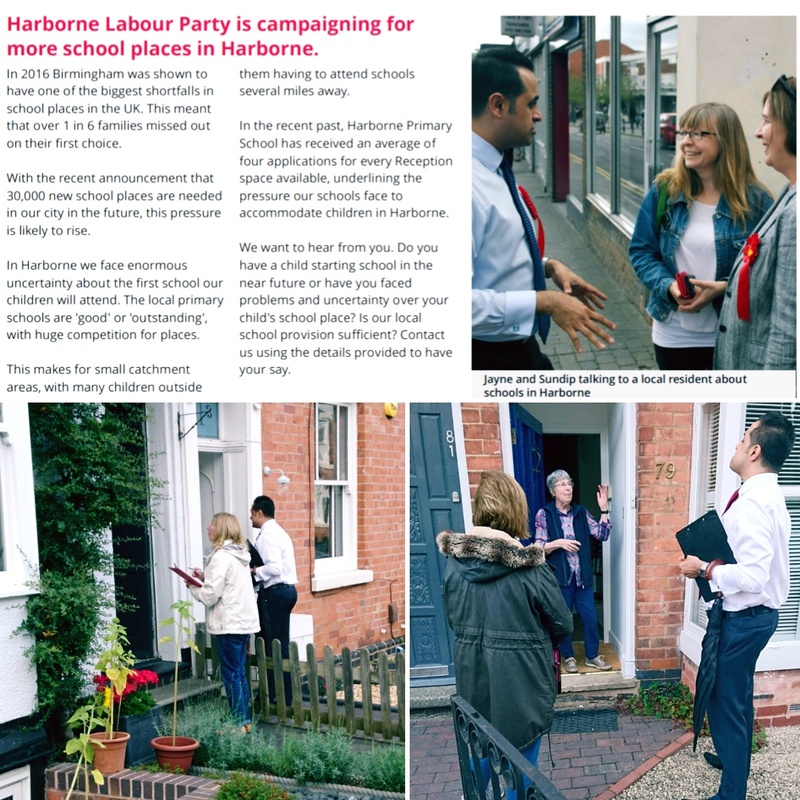 In late summer we ran numerous campaign sessions in Harborne, not only speaking to shoppers on the High Street – and distributing our latest community update – but also getting out on the Labour doorstep and speaking with local residents about the issues that matter to them. Harborne residents have been relieved to see that the recent bin strike has apparently been resolved. However there remain many pressing concerns in our community on everything from a lack of school places, to a perceived rise in hate crime; from the ever-increasing cost of accommodation, to the threat of increased noise pollution by flights to and from Birmingham Airport. 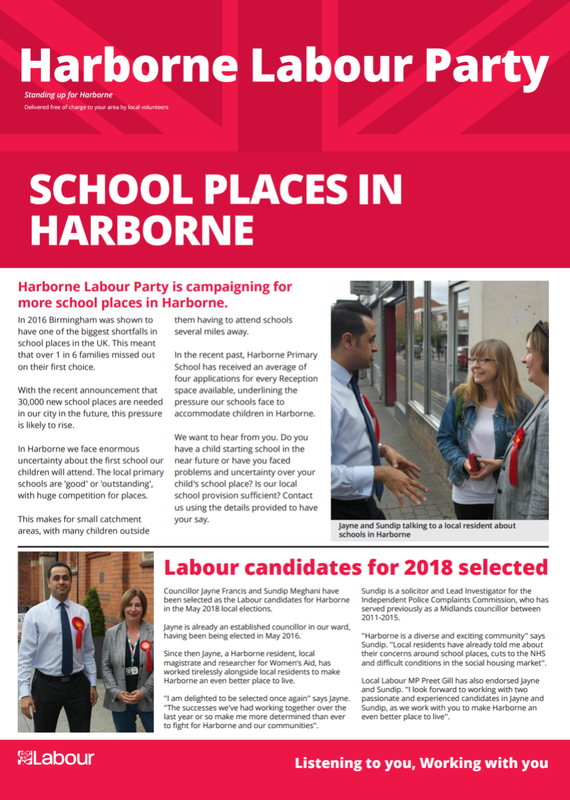 Like other big communities having to cope with years of Tory neglect and under-investment, we also have our fair share of health and social care challenges in Harborne. Diabetes rates are a cause for concern and Harborne has some of the most worrying statistics when it comes to mental health. In recent years we’ve also seen an increase in levels of homelessness across Birmingham as a direct result of major funding cuts being imposed centrally by Theresa May’s Tory government. Jayne and I are ready for the challenge of representing Harborne in the years ahead. We will work closely with Labour’s Preet Gill MP, with Birmingham City Council and fellow Councillors, and with other community stakeholders, to secure a better deal for Harborne and to address many of the issues important to local residents. 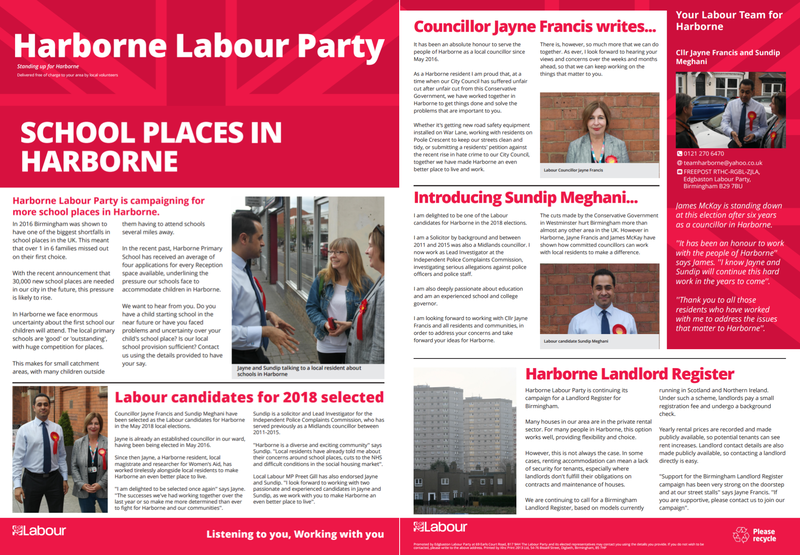 As we fight to deliver positive changes and improvements for people in Harborne, in line with core Labour principles, we will inevitably face hostility and opposition from those who do not share our values. Thankfully the people of Harborne recognise and appreciate our efforts. Many voters have told us how impressed they’ve been to see us out and about at such an early stage of an election cycle. And so we move forward with our campaign! We have huge talent and great ability in our Labour team. We have the best activists and a brilliant local MP helping us to knock on doors, promote our message and deliver results. And we have the right set of values and priorities for residents in Harborne; decent hardworking people who simply want their local politicians to focus on justice and jobs, on housing and healthcare, and to deliver a cleaner, safer and more pleasant community in which to live and work. So here’s to the good people of Harborne, as we campaign hard in the months ahead, to have the high privilege of addressing their needs and advancing their interests on Birmingham City Council.